You are here: Home / bankruptcy / bankruptcy fraud / law / What is the most common bankruptcy fraud? What is the most common bankruptcy fraud? If a person or business cannot repay the debts they owe to creditors, they may file for bankruptcy to initiate a process whereby they can resolve their debts. While the types of parties that may file for bankruptcy vary by jurisdictions, it is common for individuals, corporations, limited liability companies, partnerships, and other entities to be able to file for bankruptcy. For debtors, the biggest benefit of filing for bankruptcy is the discharge of debts. When a debt is discharged, the debtor is no longer required to pay it, and creditors cannot collect on it. 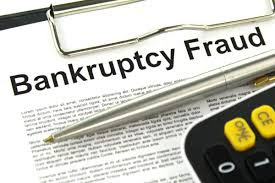 Bankruptcy fraud occurs when an individual or organisation makes false or misleading representations in the course of petitioning for debt relief. Bankruptcies are governed by legislation, and illegal conduct related to bankruptcies is almost always a criminal offence. Bankruptcy proceedings often play a substantial role in fraud examinations for two reasons. First, there are many fraud schemes that are perpetrated using the bankruptcy system. Additionally, for any investigation into financial crimes, fraud examiners need to be able to consider the role that bankruptcy might play if attempting to recover the victim’s assets.